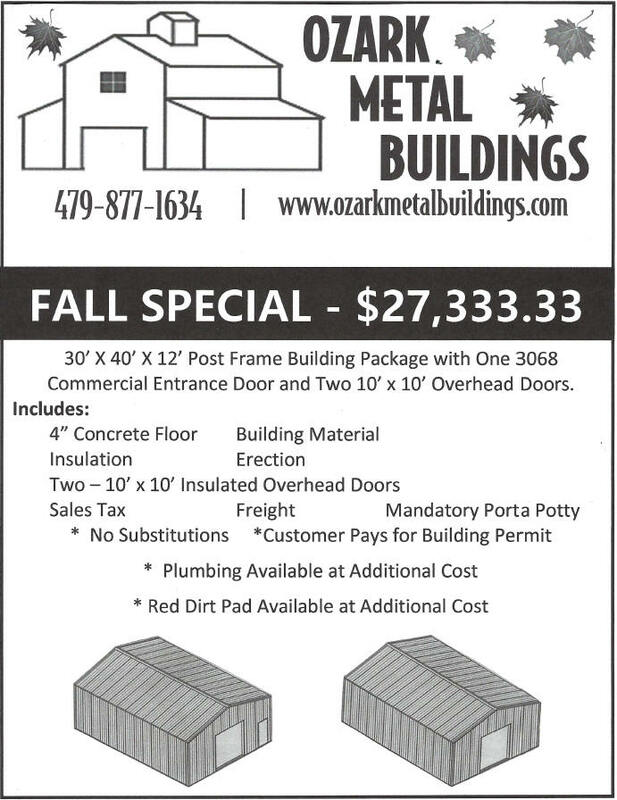 If a customer wants to buy one of these monthly specials, Ozark Metal Buildings will install it for you. 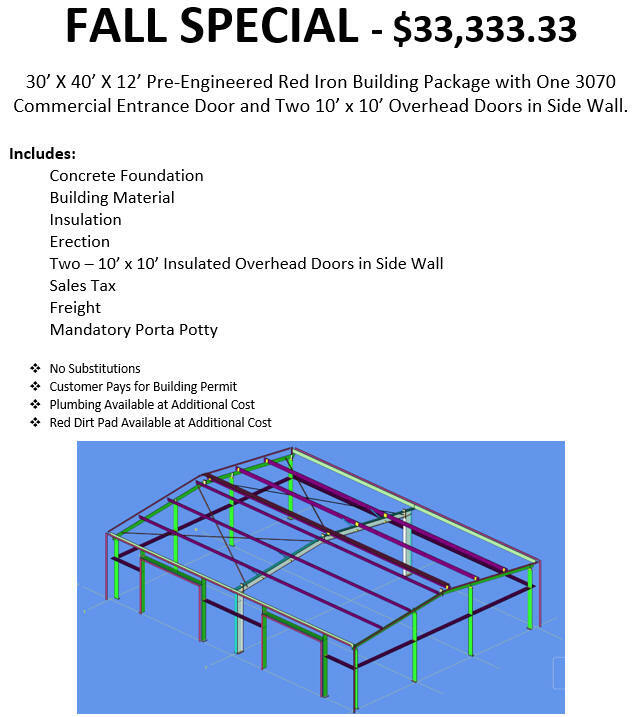 Dirt work, concrete floor, rough-in plumbing, professional erection labor and overhead doors can be added at an extra cost by Ozark Metal Buildings. 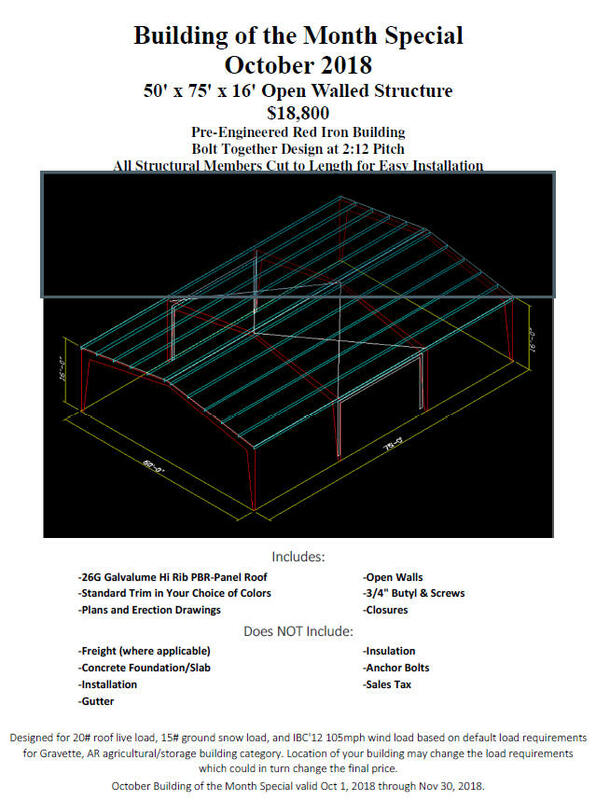 Click Here For More on this Special!